Recent development in diffusion spectrum brain imaging combined to functional simulation has the potential to further our understanding of how structure and dynamics are intertwined in the human brain. At the intra-individual scale, neurocomputational models have already started to uncover how the human connectome constrains the coordination of brain activity across distributed brain regions. In parallel, at the inter-individual scale, nascent social neuroscience provides a new dynamical vista of the coupling between two embodied cognitive agents. Using EEG hyperscanning to record simultaneously the brain activities of subjects during their ongoing interaction, we have previously demonstrated that behavioral synchrony correlates with the emergence of inter-brain synchronization. However, the functional meaning of such synchronization remains to be specified. Here, we use a biophysical model to quantify to what extent inter-brain synchronizations are related to the anatomical and functional similarity of the two brains in interaction. Pairs of interacting brains were numerically simulated and compared to real data. 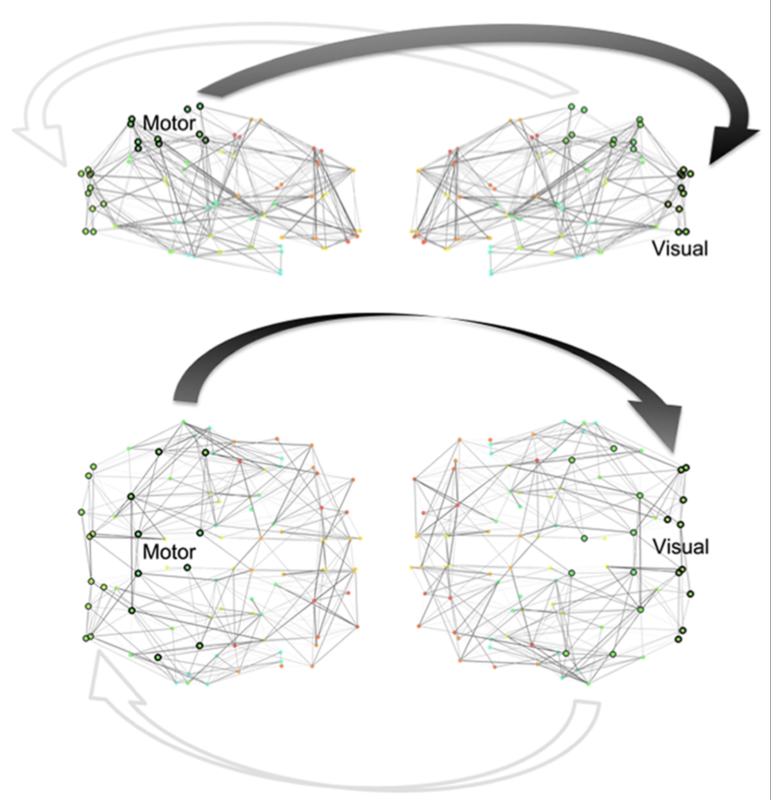 Results show a potential dynamical property of the human connectome to facilitate inter-individual synchronizations and thus may partly account for our propensity to generate dynamical couplings with others.